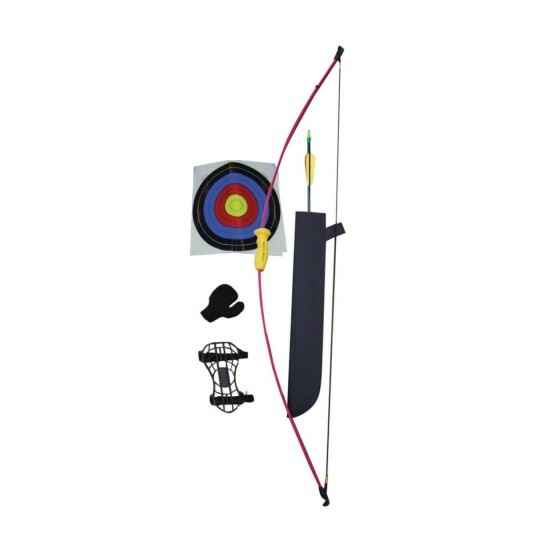 This fiberglass recurve bow set provides an easy-to-shoot archery experience for kids needing to hone their skills or younger archers just getting started. The 51"L Gazelle, recommended for ages 8 to 12, features a 15-lb. draw weight, 28" draw length and shoots at speeds up to 90 feet per second. Molded comfort grip for use by both right and left handed shooters. 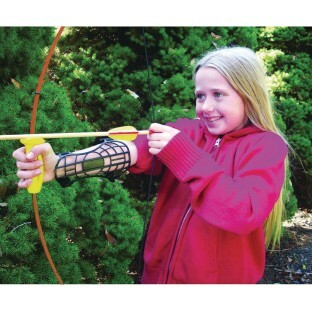 Includes 2 metal-tipped arrows, 2 arrow targets, a quiver, an arm guard, and 3 target faces. Although the recommended age was 8 our 4 and 7 year old grandsons handled the bow just fine. What a blast they had! Great new skill for my students to experience.